PCN Flight West: WA/DL Capt. F. Neil Beckstead Jr.
WA/DL Capt. 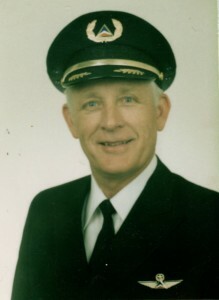 F. Neil Beckstead Jr.
Word has been received with the passing of retired WA/DL pilot and Delta Golden Wings member Captain Ferrell Neil Beckstead Jr., age 81. Captain Beckstead hired on with Western 07-22-1957 and retired with Delta at the mandatory age 60 in 1991. Captain Beckstead was based SEA at the time of his retirement, but for most of his career he was based LAX and SLC. Captain Beckstead passed on the flying gene to his children as all four are also in aviation careers. Funeral services for Capt. Beckstead will be held on Tuesday, January 8, 2013 at 1:00 pm at the Willow Creek 7 Ward, 2115 E. Creek Road, Sandy UT, with a viewing one hour prior to services and on Monday evening from 6:00-8:00 pm. Interment will be on January 9th at the Grace Idaho Cemetery. 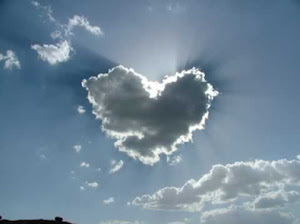 Our loving husband, father, grandfather and friend died at his home on January 3, 2013. Neil was born in a two bedroom farmhouse on what was known as Beckstead Lane on October 23, 1931 in Preston, Idaho to Ferrell Neeley Beckstead and Helen Towers Beckstead. He grew up farming and ranching at a time when there were still 5 day cattle drives to take the cows up to the summer range land. He learned early the value of hard work and commitment and these values became a part of his nature that carried him through his life of work and service to his Family, Church & Profession. A graduate of Utah State University in 1953, Neil attended ROTC throughout college. His dream was to fly airplanes even though he was passionate about the farm. He married Roma Lee McGregor in the Logan Utah LDS Temple on March 13, 1953. After graduation, he went to Mississippi for flight school and spent the next 4 years flying the C-124 to Japan out of Travis Air Force Base. After finishing his commission, he went to work for Western Airlines in 1957 and flew for Western and Delta until his retirement in 1991. Neil was very active with his family, supporting his daughters love for horses, camping trips with his sons & grandsons, family boating trips in the summer, and during the last few years, hardly missing a game played by his very active sports minded grandsons. All of his children followed his aviation passion to some degree, his daughter flying corporate jets, one son flying for Delta, another son working for Northwest Airlines, and another son flying privately. His three boys each earned Eagle Scout honors. During retirement, Neil and Lee were avid travelers and constant companions. They shared many precious moments, funny stories and were inseparable. An active member of the Church of Jesus Christ of Latter Day Saints, Neil served in many capacities including Hosting Missionary at Temple Square and serving at the Draper Temple. Neil is survived by his wife Lee of Salt Lake City; daughter Leslee Reed (James) of Buhl, ID; son Michael N. Beckstead of Fort Collins, CO; son Patrick Beckstead (Terri) of Woodberry, MN; son Kory Beckstead (Kelleen) of Alpine UT; 12 grandchildren: Brian Beckstead, Jennifer Beckstead, Nick Beckstead, Adam Beckstead, Lara Jago, Ryan Jago, Ian Reed, Emily Reed, Chase Beckstead, Carly Beckstead, Conner Beckstead and Cole Beckstead; his sisters Sharron Hanson of Reno NV; Gail Saxton of Ames, IA; and Rosanne Johnson of Portland OR. Funeral services will be held on Tuesday, January 8, 2013 under the direction of Bishop Kimo Esplin at 1:00 pm at the Willow Creek 7 Ward, 2115 E. Creek Road, Sandy, with a viewing one hour prior to services and on Monday evening from 6:00-8:00pm. Interment will be on January 9th at the Grace Idaho Cemetery.